It is a pleasure working with Troy. He is such a professional, efficient Realtor who really cares about the quality and service he gives his clients. I can’t say enough about Troy Reeves and his team! My wife and I were under a crunch to sell our home. We saw great result as soon as Troy started working with us. Selling a home is a great experience when you have multiple offers! Troy worked through those offers, making it really easy for my wife and I. Within two weeks, we accepted an offer on our house for A LOT more than we were expecting. Troy worked through all the details and made selling our home an easy process. He will definitely be my first call next time I need a realtor! Thanks again Troy! Troy helped me sell my home in less then a week! He made the process very simple and professional. Buyers agents were calling me hours after my home posted on the MLS. He did a great job guiding me on how to list my home, show my home and made sure buyers agents had direct access to me to schedule showings. His entire team especially Glen went above and beyond to help me negotiate and eventually accept the offer best suitable to my wants. Thank you so much for all your help! The first thing you told me when we first met at your home together…Is “I have a offer in on another home in California and worried im going to lose it” SO the pressure was on!! When you have a seller doing everything it takes to show the property well and a team of agents doing everything they can to market the home…..WELL, this is what happens! We are so Happy for you and yor family! Thanks for choosing us(The Reeves Team) when you have so many others to pick from!! Thank you for your quick selling of our family condo. We had a purchase offer within two days of first talking with you. It couldn’t have been a more pleasant experience. Dave Ramsey referred you to me. Looking forward to our appointment. I am a licensed Realtor in Alberta Canada and have some income properties in Mesa. I was listed with another Realtor at a different brokerage for 6 months on one of my properties. In that time I didn’t hear from the Realtor, received no updates and of course no offers. Listing expired and I did some research and called Troy and his team and gave them one listing to start with and had an offer within 10 days and closed the deal within 30 days. Gave Troy and his team the second listing immediately after the first closing and had an offer on that one within 3 weeks and closed the deal 3 weeks after that. When its time for the next one to get listed it will be Troy Reeves and team that will sell it, no question. Completely impressed with the entire experience. Thank you for choosing us to be trusted with your assets…. We understand the importance’s of a long distance sale or purchase( more than 38% of our teams transactions are with out of state folks). Again Troy thank you and wish you and the rest of our Canadian friends to the north the best! You can’t go wrong with a home in Arizona! The weather is fantastic, the scenery is spectacular, and the people are very welcoming and friendly! We love it there! Karen….we argree with you!! Great people, beautiful weather… Even the monsoon season is nice to watch right now! Troy helped us buy our first home here in Arizona. My husband was here and I was still in Ohio. I had many questions about the housing market in the Phoenix area and specific questions about Gilbert. Troy took the time to answer all my question and directed me to finance people for specific financial question concerning our mortgage as we would be owning 2 homes for a while. There was never any pressure to put an offer on a home, he pointed out the pros and cons of a home in a very factual and professional manner. Because we were new to the area, we had a lot to learn about owning a home in Arizona–things are different than in the Midwest. The folks at the office were all very helpful when I called with questions. Hopefully, Troy and his team will help us sell our house when the time comes! Mary….Thank you for the kind words….. we would love nothing more than to help when the time comes to market your home! Repeat clients are a must in this business and The Team and I Thank You. 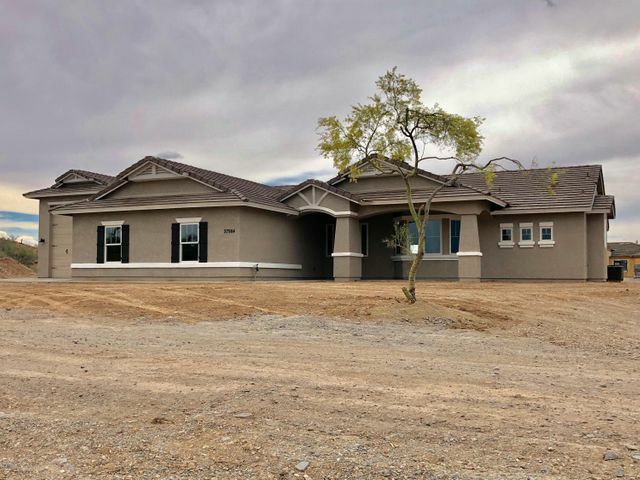 As a real estate salesperson myself, employed by Arizona’s top boutique retail commercial real estate firms, I looked for the best residential real estate team I could find when it was time to sell my home. After having interviewed several real estate agents we chose to sell our home with Glen Marlin of the Reeves Team. Glen and the Team were incredibly responsive and handled every detail of the transaction seamlessly. Their approach to selling my home was very professional. I would absolutely recommend The Reeves Team to my friends and family, and I would use the team again in any future transactions. This is truly a team you can count on to represent you in selling your home in a most professional and courteous manner. Thank you, Team! Wanted to Thank Troy & His Team for all the help they’ve given me over the year! We could not have accomplished what we did without them…..Lora is Awesome!! I have worked with Troy and his team on several Real Estate transactions and its always a pleasure and very easy. Troy is professional and 100% committed to helping his clients. Great Team….hardworking and very professional…..! Troy Reeves and his Team have extensive years of experience in assisting Buyers and Sellers with their real estate needs. The Reeves Team are extremely professional and hard working. I would highly recommend them for Buying or Selling a home. Disclosure: Yvette has been a vendor of our team for over 16 years….. She may be a bit bias! Thank You Yvette and all the folks at Old Republic Home Warranty. 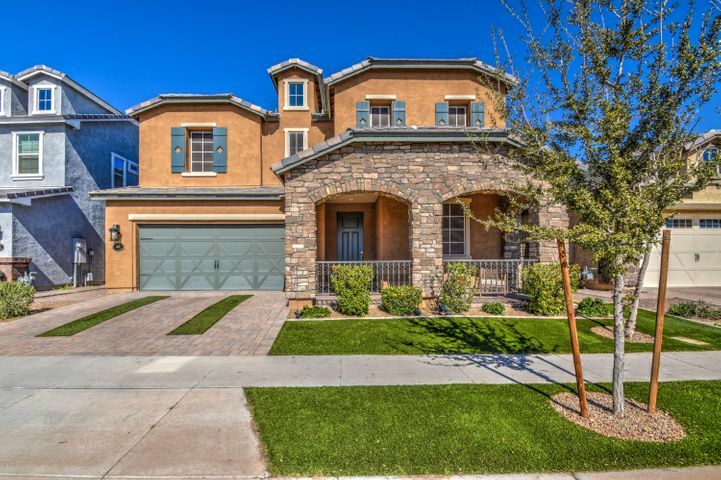 Troy has been a great realtor here in the east valley for quite some time. His knowledge of the valley will be a great asset to anyone looking for a home. He can steer them to good schools and and good neighborhoods. Thanks Kristi, coming from another business owner that means a lot! 20 years ago troy sold my parents house in 24 hours. I am now looking to purchase my first home and wouldn’t choose another relator other than Troy, Troy and his team are amazingly friendly and very supportive! I can’t wait to purchase my first home while working with the best team!!! Emmylou….Thanks for the kind words! If we get this house that backs to a golf course…the one you love so much, Then I can pay you back for these kind words….Cross your fingers we will know today! I’ve sold Real Estate for over 13 years and have always considered Troy to be one of the most respected agents in the valley. He and his team are excellent. Just you have a well respected name in our industry as well….we appreciate your remark! about finding the best home for you. You found the perfect place…super close to ALL the family!! Im super happy for you! Thanks, Troy, for selling our home so fast and so easily!! Janet…we are gonna miss you as a close neighbor of ours for 15 years….even know you’re only moving across the street into Western Skies!! Troy Reeves and his Team continue to demonstrate superior knowledge and professionalism with regards to our Arizona Real Estate Market. Their years of experience is reflected in the hundreds of repeat clients they have all earned. Troy has been extremely helpful in our long distance home search. He even went out to a house and took a video, so we could get a better view of the house and neighborhood. He went over and above and we really appreciate it. We sold our house and only have 30 days in which to find a new home. Thank you Troy for finding us our wonderful home in the Spectrum community. We are very happy here. Thanks to you and your team we found the home we’ve been searching for! Troy, you are the most efficient real estate team we have ever worked with. Great people, great service, we couldn’t have asked for more! Callie…Thank You…Thank You…Thank You! It was a pleasure helping you with the very first sale of a home. I am very happy for your family! Troy has been great! He is very helpful and quick to answer questions. My family is currently in the market for relocation to Arizona from Michigan. Troy has been very attentive in helping us find a house while still being in Michigan. I apprecaite his help in making this a smooth tranisition. Keith…Thank you for the comment! WE look forward to finding your family the perfect home! The Reeves Team were great to work with….. I live out of state and they made everything as stress free as possible. Lora was amazing to work with!!! She was always very helpful and very patient. I first met Troy when he was representing the homeowners of a home I was interested in buying. He offered to represent me in the transaction which I thought might be an issue, but quite the opposite was the case. The deal went through very smoothly, and I was very grateful that Troy took all the time I needed to explain how the contract worked, and the process would proceed. He even offered to help cover the cost of a minor issue with the home! In the end I was out of the country when closing took place. A problem with the house was uncovered as the sellers were moving and Troy had the whole situation repaired in time to complete closing without me having to be involved. I was very impressed. I highly recommend Troy and his team. Having your phone calls and emails replied to so quickly is very comforting. I will be using his services next year for the sale of my current home. Our goal, and always has been, is to create a client for life! If you are happy with my full team…we hope that you come back someday OR SEND family! Thank You Elizabeth, you were a pleasure to work with! Thank you Reeves Team for helping us sell our home last year, and finding a perfect one for us to move into this year. 🙂 We appreciate the knowledge and insight you had, as well as the professionalism and quick responses that we received throughout. Michon you kept a beautiful home…..It was not hard to sell(looked like a model)…I’m just glad you chose us to market it after meeting with several Realtors! Any one of them could have sold it……Thank You for being a great client of ours….AND VERY excited about your new house being built currently! A great team to work with, truly had my best interest in mind. the team made a stressful situation easier and enjoyable. They were very trustworthy, reliable, knowledgeable, very obvious as to how they have come this far. Can’t thank you enough. We found an incredible place for you(a former model with a salt water pool in excellent condition and on a quiet Cul-De-Sac lot) Very proud of this find for you and can’t wait for your house warming party! Congrats Deena…You deserve it! After having the Reeves Crew on hold for months, I wasn’t sure they would still be interested in selling my home. Special circumstances prevented me from being in Arizona to see that my home was ready to sell, and with the blessings of many good people, I was able to see this through from a distance. Knowing Troy was still there for me is a huge relief to me & my family, and we would recommend his Company in a heartbeat to everyone needing a qualified, professional & reliable Realtor. Helping folks that are out of town(either with the sale of their investment…or they are relocating here) is a specialty of ours and has been for many years! One of the perks for being in this business for almost 20 years and with the same company is that the referral base we have on The Reeves Team is amazing(both the US and the World). Thank You for posting this very nice comment! 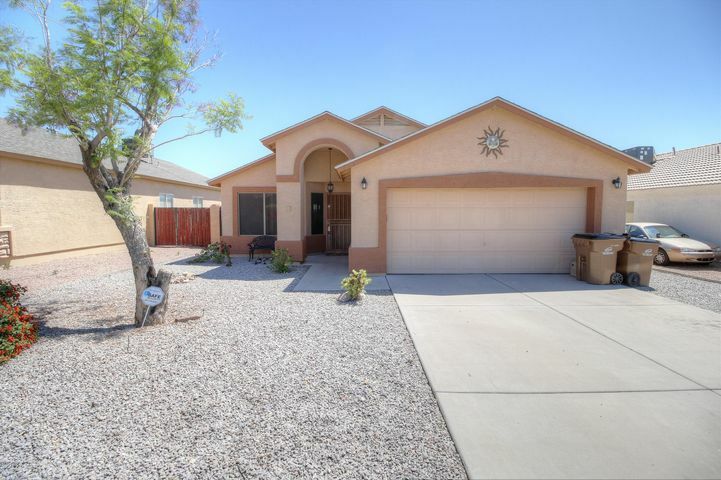 I had found a job out of AZ and wanted to sell our Gilbert house before I moved — big time crunch! Troy met with us and laid out a plan. A few days later the house was on the market. They marketed our house aggressively and we had exceptional “foot traffic”. A few more days and we accepted one of several great offers! I recommend Troy and his team (Lora worked hard for us too!) to anyone looking to buy or sell in and around Gilbert. This so far has been a FUN experience for us. We’re first time home buyers and in the process of buying our first home, its scary, however Troy has made it easy, he gives great advice, and he makes sure he answers our questions. I feel very comfortable knowing hes going to get us a great deal. He was referred by another real estate agent who is a great friend of our family, so I trust him and his team wholeheartedly. Thanks for being great Troy! We recently purchased a home that Troy had listed. While he was not our agent he helped us with an issue with the home even after the closing and we were moved in. He took time to stop by and ask questions about the problem and took matters in his own hands. We feel he went above and beyond to help us. Thanks to him the issue was resolved in our favor. We are now neighbors of Troys and his kindness and willingness to help still continues. We love our new home and are very happy to have such a good neighbor. Debbie & Mike…Thank you for the kind words! The reason we(and I) do this is because of comments and positive experiences in this tough real estate process! I enjoy reading stories like this!! What can I say! Our house was barely on the market, we received an offer-full price no less and the house was sold within a week period of time. Troy and his team are efficient, knowledgeable, patient, and provides awesome customer service. Thank you again! 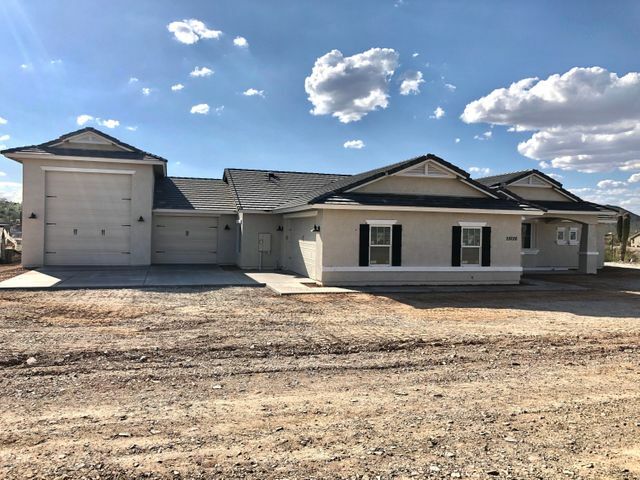 Coming in from Colorado to the Gilbert area looking for a new home can be challenging. Your quick response, timely listings, and professionalism is much appreciated. The website is informative and easy to use. YOu have been great to work with. I am a neighbor of Troy’s and just wanted to say how wonderful he is in keeping all of us up to date with what is happening in our local real estate market. It is most appreciated and when we are ready to sell our home we will not hesitate in contacting him to market it for us. Also wanted to say how great it is that The Reeves Team is one of the sponsors of the Gilbert Days Parade which definitely helps maintain the heritage that we have here in Gilbert! Janet….You do more for the east valley than most and YOUR words means a lot to me and our team! 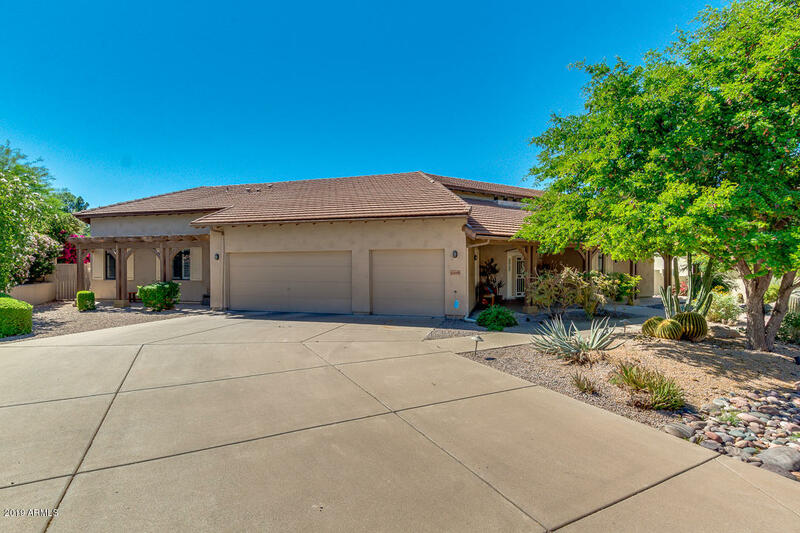 Thank You for the kind words again, I will always keep you updated on East Valley Real Estate….and you keep us protected in Gilbert as you have done for years! WOW! where do i start? Troy and the Reeves team are amazing! I bought a house from them a little over 2 yrs ago. Unfortunately i cannot take the credit for finding this great team. My brother found them on the Dave Ramsey’s best of the best Real Estate teams in the state of Arizona. I called not to buy a home but “just to look”. I was transferred to Troy. I explained that i was just looking and what i was looking for. I made an appointment to meet with him. I walked into the office (beautiful) and was greeted warmly. I sat down with Troy and was impressed to find he had my house hunting plans laid out for me….and off we went. I was then referred to Glen and spent the next many fridays searching. Glen had emailed me a list of homes that were in my criteria Thursday evening and i printed out the ones that interested me. I really had fun on my fridays off.. They both made my home buying experience a great one as i was making this big purchase on my own. I had put all my trust and confidence in them. I dont want to forget Lora…she is quite the multitasker . When it came for all the paper work she rocked..i called her so many times that when she answered my call she knew it was me. I felt like family. Even though its been 2 years later..i will always recommend Troy and the Reeves team for buying or selling a home..You all rock!!! If you’re in the market for buying or selling your home, Troy and the Reeves Team should be your first choice. Troy took me out to look for my first home at a time when houses had multiple offers and were selling on the same day listed to the highest bidder. I was getting discouraged when every time I saw a home online or in person, it was either too late or the multiple offers had pushed the price of the home out of my range. I knew he had other clients in the same predictament as myself, but he always treated me as though I was his only client. I’ll never forget the day when Troy called my office and said, “go online and look at this house…. it just listed and if we don’t go look at it right now, it’ll be gone by tonight” A couple of hours later, we were writing an offer. Late the next day, I received a call from the Reeves Team saying I was going to be a new homeowner. That call was the first time I had ever cried from joy! (I’ve never shared that with anybody) Fast forward almost 13 years later, I used his team to sell that home (sold in 3 days) and purchase another, without any hitches. Troy and Lora took the time to answer any questions I had, especially the second time around when I was trying to get the house I was selling and the new one I was purchasing to close on the same day. Just like the other have stated before me, I too highly recommend Troy and the Reeves Team for all of your real estate needs. When the time comes to sell the home I’m in, Troy’s Team will be the only call I make. WOW….Angie! We’ve had a lot of good reviews on several of our sites over the years…but this one struck me, as well as the team & Lora to heart. Thank You so much for this beautiful review!!!!! A piece of history left the RE/MAX organization when the Hummer H1 left the parking lot. It was a sad day for all. Keep up the good work Troy! Troy and his team have been really good at keeping us informed of new homes on the market. I just don’t understand why on a short sale the banks just drag their feet and don’t want to recoup what they can and close a sale. Thank You Karen for your comment! Without getting into a long post..I can tell you that banks make these short sale approvals based on many factors(like how many loans the seller has, why the seller needs to do a short sale and do they qualify for a short sale). But the reason why they take months sometimes to make this decision is ridiculous and I agree with your comment/concern! Troy and his Team are highly organized and it shows in all aspects of their representation of their customers. I highly recommend them. Appreciate the recommendation….means a lot to me! Our Re/Max agent, Glen Marlin, was awesome! 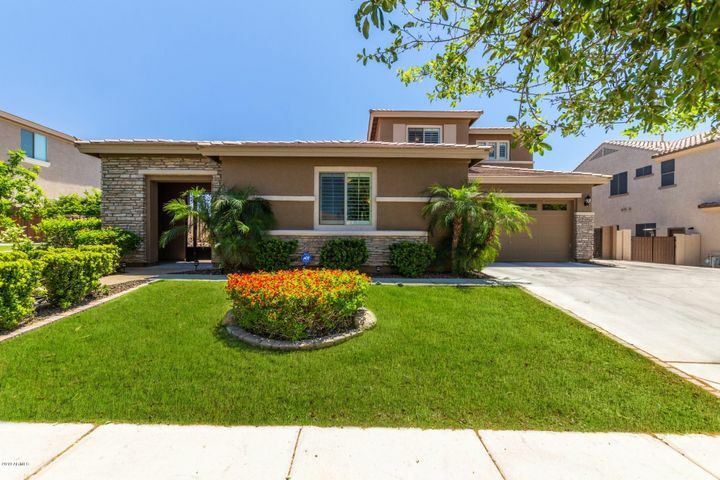 He asked all the right questions to determine the right house for us and provided us with all of the tools to search for homes in the areas we were most interested in and within the price range that was right for us. He sent us updated listings on a daily basis (sometimes 2 or 3 times a day), and was always quick to return our calls and emails or answer any questions we had. He worked around our busy schedules, showing us homes when we were available and built his schedule around us. We found the perfect home to call our own with Glen’s help. He is one hard working agent and a super great guy! Thanks so much, Simeon. It certainly was a pleasure working with you and I hope you are enjoying that great home. Jim…thanks for the rating!! We don’t always get a perfect OR BETTER rating…but we certainly try! We appreciate your comment and thank you for it. 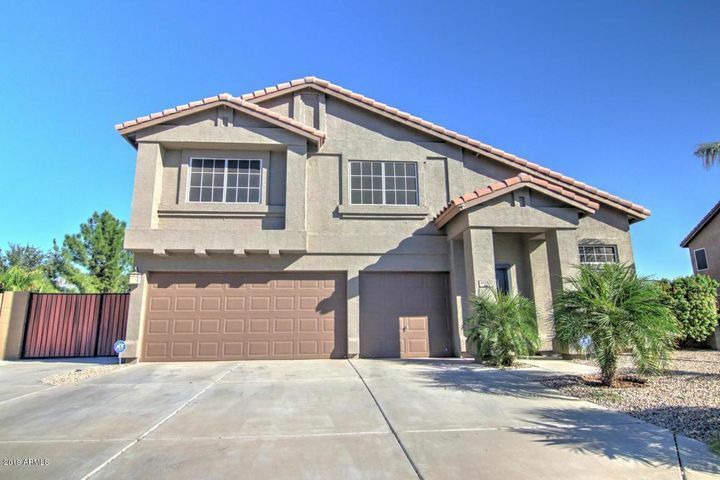 Troy and his staff covered all we needed in selling our home in Gilbert some 8 years ago, and they are still active in helping people in the Phoenix community. I know I would like to have them work with me again, as I know I will still be working with people who can make this kind of a transition so easy for me. And David we will be here to help you again…Thank you for the nice response! Knowing Troy from way back, I knew I could count on the Reeves team when I called with my house shopping questions. Troy and his team was very responsive to our inquiry about selling our home. He was courteous, prompt and very honest. At that time last year, the market was not bearing the value for our home. Troy encouraged us to wait and keep watching housing sales/evaluations in our area. We were very appreciative of his honest feedback and not the typical”sales” pitch. I would highly recommend this company. Troy and his team were life-savers for me! They were so generous with their time in guiding me through the sale of my home and offered thoughtful advice throughout the process. If you’re looking for a real estate team that has your best interests at heart, then the Reeves team is the team to choose! Melissa thank you…..It was a pleasure working with you and really appreciate the kind words from you. My wife and I have bought and sold several houses over the past years. We always entered into these ventures with a certain amount of dread. When we met Troy and his team he made our experience in house hunting a great experience. He is knowledgable and caring in his approach. I would recommend him to anyone who is interested in purchasing or selling their home. Thank you so very much for your kind words….I’ve said this before and it never gets old or worn out…”It’s comments like this that keep us going on the Reeves Team! !” Thank you Both!!! Troy and his team did an amazing job at selling my home. First of all, I do not live in Arizona any longer and had no idea how I was going to find an agent to help me sell my rental property. When I found Troy and his team, right from the start they were on top of everything. I really only had to scan a few documents and sign a few electronically and that was all there was to it. There were 6 offers on my home and he helped me to decide how to proceed and to get top dollar. I couldn’t recommend Troy and his team with any more enthusiasm, they were the BEST I have worked with! Troy: Thank you for the rapid response. I appreciate this and look forward to the listings you may come up with. Having the advertising on your Hummer, worked, it made it easy to find a specialist in the area we are seeking. It’s been hard to keep our Hummer fleet with the gas prices over the last several years…but so many people recognize “The Reeves Team” by that trademark we’ve had now for more than 13 years! 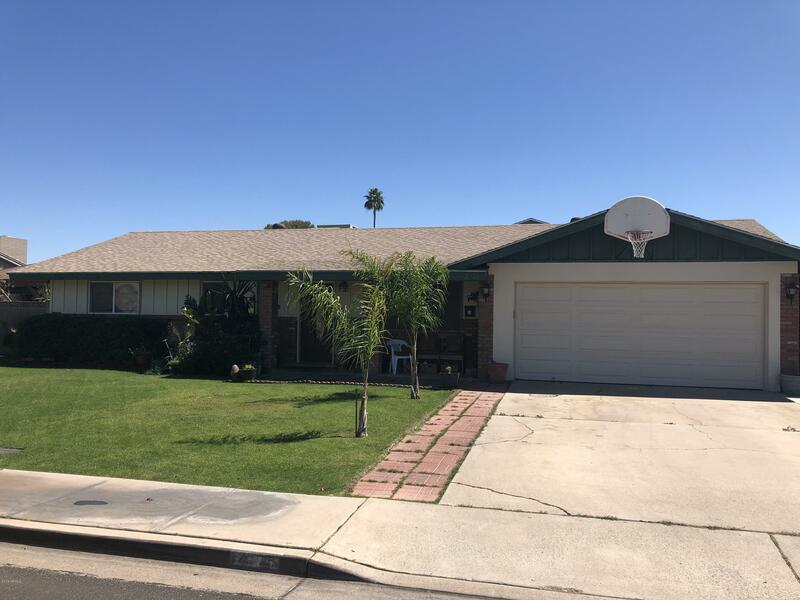 We bought our first home with the help of the Reeves team in 2009 and since have enjoyed staying current with real estate information through their email, website, and MLS access. Thanks for keeping us in the loop. Heather & Nick, we enjoy keeping our clients up to date with market trends..OUR goal is to have “clients for life”! That’s been our goal this last 18 years..once again thank you for being there with us. Lora and Glenn, THANK YOU! You were with us every step of the way. I picked you out of the yellow pages and it was the best ‘guess’ I’ve ever made. I highly recommend your office if anyone wants to sell their home, especially a short sell. It was a pleasure working with you. Thank you for always responding to need of additional paperwork for your lender is a quick manner. You helpfulness with all required documents helped more than you can imagine. We look forward to working with you again sometime in the future. Love the Reeves team. Very prompt and professional. Melanie, we love you to! Thanks for being a client of our for many years now!! Being Troy Reeves preferred lender allows me the opportunity to work closely with him and his team. The Reeves Team’s #1 priority is service to his clients and his continued commitment to a 1 hour call back guarantee. Troy understands the steps needed to assure a smooth and successful transaction from beginning to end. He is very proactive in dealing with buyers/sellers issues that may arise. Troy’s relationship does not stop when the transaction is closed. He continues to have a personal relationship with his previous clients and has built his referral business on this. I have had the pleasure of working with Troy and members of his team for about the past 5 years. The level of knowledge and understanding of buyers and sellers needs is outstanding. Recently Glenn on his team helped us get a very greatful family into a home and it just reminded me of why we love working with them. The home buyer was so happy to have a house for his girls and they were picking out paint for thier rooms when I last spoke to them! Thank you Troy, you and your team are amazing! I have been honored to know Troy for a couple years now. I am a Business Banker for Chase bank for the East Valley. I will tell you I work with many different Firms and Realtors in the valley for the past 6 years. Troy and his team at Re/Max are a fantastic group of harding working people. Troy is a pleasure to work with and you would be doing a great service to yourself by reaching out to Troy and his team to help you on your Home buying or selling experience. Tony….Thank You for your kind words….It means a lot coming from a person with your wealth and back ground in our industry…again thank you! Hello Troy, We met many years ago when you were a new agent.I am so proud of you and your accomplishments, this is a great business we are in. Troy w/ The Reeves Team at Re/Max Alliance Group Short Sold our home in just 2 months!! The process took only 1 month from the listing of the house to the approval from the bank. Another month for closing and BAM!! HOUSE SOLD!! This team delivers a stress free, painless Short Sale!! We couldn’t have asked for a better team to work with us!! The Prokop’s!! I have had the pleasure of knowing Troy Reeves & his TEAM for many years. I was very excited when the Remax Alliance office selected On Q Financial as their preferred mortgage partner. Troy & his Team is recognized as one of the top real estate offices in the East Valley. In today’s market, where the real estate world is complicated, it is essential to be represented by a professional with experience and integrity. I would highly recommend the Troy Reeves Team for all your real estate needs.